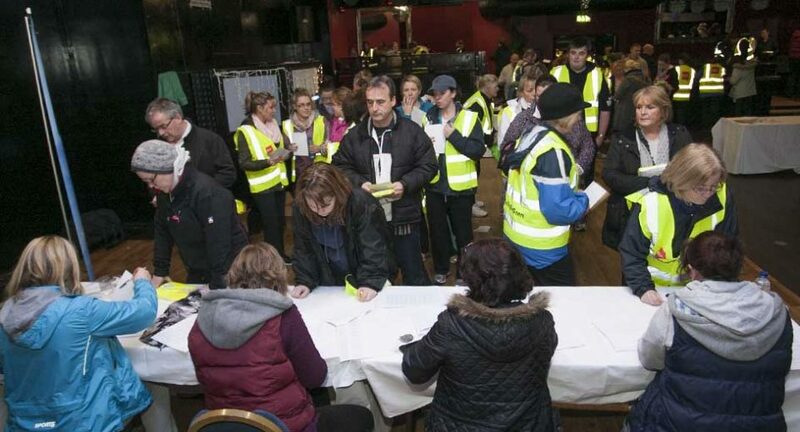 Amber weather alerts, storm force winds and enough rain to last a lifetime did not deter 196 of Wicklow’s finest signing up for Operation Transformation Wicklow Town. The event is organised by Wicklow & District Chamber of Commerce with great assistance from three local women, Bernie Gillespie, Mari Humby & Stella Farrell. Running for eight weeks Operation Transformation Wicklow Town closely follows the popular TV programme of the same name, however it is a team effort and the objective is for the participants to increase their fitness, improve their diets and lose some weight – Last year’s team lost a combined weight of 112.5 stone. Once registered and weighed in the team along with their two team leaders Brian Fanning and Valerie McHugh got their first brisk walk underway. The next group walk takes place on Saturday morning at 9.30 meeting in the car park beside Educate Together School on The Murrough, Wicklow Town.